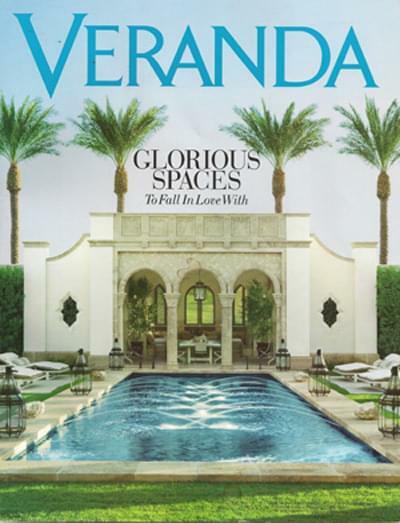 A recent issue of Veranda featured a fabulous home designed by the talented David Easton. The house is located in Aspen and has dramatic views of the Red mountains. Easton has designed at least a dozen mountain homes but for this project, he was inspired by the Nordic houses, especially in the Swedish countryside. Easton wanted to achieve a home that was elegant and sophisticated but in a humble way. The result is spectacular! And of course Easton uses only the most fabulous rugs! The gorgeous entry features a fine antique Khotan as well as a beautiful antique Gustavian demilune table. In the sitting room Easton adds warmth and color with an old Agra. The antique table is from John Rosselli. What a gorgeous room especially with the sweeping mountain view in the background! I love Easton's ability to layer pattern on pattern without creating a busy look. The large antique rug is a Persian Doroush. The ottoman is covered in an antique tapestry fragment. Using an ottoman upholstered in a rug or tapestry fragment, or even an old ikat or suzani textile, is a great way to give your room texture and color as well as add something interesting and different! On the second floor landing Easton opts for a faded Khotan and an antique Swedish cabinet. The master bedroom is soft and romantic. Easton keeps it simple which accentuates the beautiful architecture of the room. Notice how the bedskirt and the rug are the only pattern in the room.